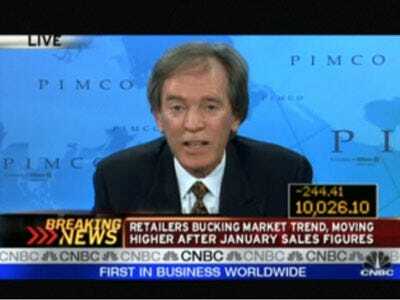 Treasuries and foreign developed nations are back on Bill Gross’s buy list. In February, he hiked his foreign developed-nation bond holdings to the highest percentage since May 2004 according to Bloomberg. Gross raised the proportion of the securities in the Total Return Fund to 19 per cent of assets in February from 18 per cent in January, according to a report placed on the company’s Web site. Yet what’s more striking is the fact that he made a big move into U.S. treasuries. 4% is a lot for just a month… and the first increase in a long time. He increased U.S. government debt to 35 per cent from 31 per cent, the first increase since October 2009, and lowered net cash to 2 per cent from 9 per cent. Which means he perfectly timed yesterday’s dovish Bernanke words.